Ask Tess: How do I protect my animals from radiation? So if I’m all protected with gas masks etc. how do I protect my animals? Farm livestock shows no measurable effects from being exposed to ionizing radiation unless the level is greatly in excess of the natural background radiation. Possible sources of ionizing radiation which might affect livestock or contribute to radioactivity in the food chain to humans are reactor accidents, fuel reprocessing plant accidents and thermonuclear explosions. Most data on ionizing radiation effects on livestock are from whole body gamma doses near the LD 50/60 level. However, grazing livestock would be subjected to added beta exposure from ingested and skin retained radioactive particles. Results of attempts to simulate exposure of the Hereford cattle at Alamogordo, NM show that cattle are more sensitive to ingested fallout radiation than other species. Poultry LD 50/60 for gamma exposure is about twice the level for mammals, and swine appear to have the most efficient repair system being able to withstand the most chronic gamma exposure. The productivity of most livestock surviving an LD 50/60 exposure is temporarily reduced and long-term effects are small. Livestock are good screeners against undesirables in our diet and with the exception of radioisotopes of iodine in milk, very little fission product radioactivity would be expected to be transferred through the food chain in livestock products for humans. Feeding of stored feed or moving livestock to uncontaminated pastures would be the best protective action to follow. All food and water need to be pre-stored for them and protected from the radiation, as well. This is a true challenge because a correct estimate of consumption needs to be prepared. They need at least one year’s supply of food and water and must remain indoors under protective shelter for at least one month until most of the radiation decays. Decontamination: supplies need to be pre-positioned, and there is also manure/offal to be disposed of regularly…perhaps in a location that is also secured if you’re to turn it into compost. Existing structures need to be modified: Most barns will (depending on the roof type) at the minimum protect from Alpha particles. The windows need to be closed off and sealed, and the challenge will be to provide air that is filtered and circulating in their living quarters. Henhouses and chicken houses need to be assessed for the ability to keep fallout from reaching the poultry. Minimum subsistence and breeding stock: Your biggest challenge will be to support the minimum amount of a population of livestock to be used for breeding to replenish the herds and flocks. Your hens will still lay eggs that can be used for food, and unexposed/safe cattle for milk (watching out for U-238 and Strontium-90 that can go into milk). This is a long-term goal of protection for you to undertake for them. Mines, caves, and other possible shelters: You could use these if nothing else, should you not have the type of protection available on your property. Just a suggestion, but the last resort. “The Earth Still Turns,” meaning: you still have to take into consideration the seasons and all of the related problems with them, such as frozen drinking water and extreme cold with (grid down following EMP or war) no electric heat. Geiger Counters and Dosimeters: to be used to monitor radiation for them. 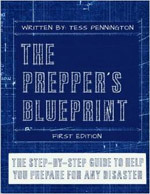 If you haven’t already done so, I strongly recommend getting a copy of Cresson Kearney’s “Nuclear War Survival Skills.” Even though this piece discusses livestock, the principles of a nuclear war and the scientific breakdown of shelter construction and radiation hazards still applies to them. Most of the country still has some time before winter sets in to obtain extra supplies for the livestock and take extra measures to protect them. It is better to do something than just sit around behind a keyboard and skeptically inform others of how nothing can be done. It can be done: you are the ones who can do it if you resolve yourselves to take action.